Endometriosis is something we see a LOT in the clinic, and no wonder, with 10-15% of women in their reproductive years suffering with the disease. It’s not easy to diagnose either, and there is often a 7-10 year delay in diagnosis. So what is it about endometriosis that is so elusive? What can be done about it? Read on to learn more. Endometriosis can be a debilitating condition, characterised by the presence of endometrial tissue (usually found within the uterus) outside the uterus. This frequently occurs on the bowel and bladder, but has also been found in muscle, joints, lungs and the brain. Endometriosis tissue responds to the same hormones that govern our menstrual cycles, and so these tissue clumps can grow in size and cause pain during the period. Sometimes no symptoms at all! Endometriosis is a fickle thing – sometimes the smallest amount of endometriosis causes extreme pain, and other times severe endometriosis gives no symptoms at all. That’s why there can be such a long delay in diagnosis! Immune system changes – when endometrial tissue is present, your body’s immune system can become more active and try to destroy the tissue. These immune cells can release toxic chemicals called cytokines, which can cause inflammation. In some cases, these cells may even travel down the fallopian tubes to the uterus and pick off the sperm before it has a chance to meet with the egg! To date, the only way to reliably diagnose endometriosis is via laparoscopy – a surgical procedure in which the surgeon is able to look into the pelvic region and see exactly what is there. Often, if they find endometriosis, it will be lasered off. This approach is effective, but only in the short term – the endometriosis almost always grows back, meaning patients need to go back again and again. 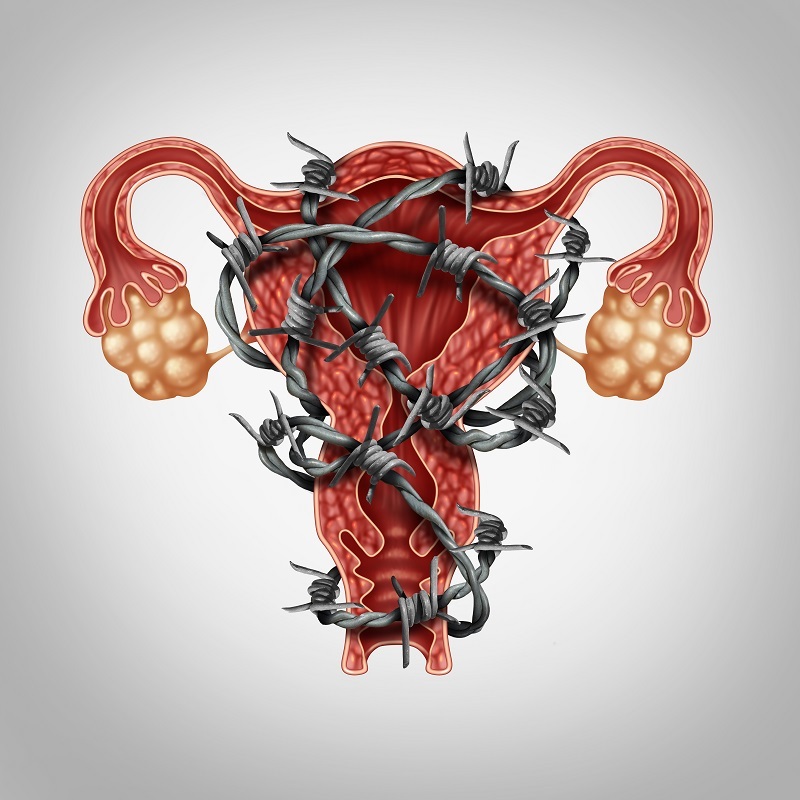 Following surgery, measures are often taken to completely halt ovulation (and therefore the menstrual cycle) to stop the flux of hormones from growing the endometrial clumps. Unfortunately, this prevents the body from being able to “flush out” the uterus and the backlog of tissue, which we see resulting in an increase in pain and inflammation. These medications can also cause breakthrough bleeding, and disrupt the body’s hormone functioning which can lead to other issues down the track. Chinese medicine views things a little differently to western medicine. For one, the term “endometriosis” is certainly a Western medical label, not a Chinese one, but having a Western understanding of how the disease works helps with our Chinese medicine understanding of the disease. In all cases of endometriosis, there is an element of what we call “blood stasis” – blood not flowing out of the body during menstruation as would normally occur, and stagnating and causing pain. A patient with endometriosis presenting to our clinic will be diagnosed according to her symptoms, and her underlying constitution. These will be addressed alongside the Blood stagnation in order to improve the symptoms of the disease as well as improve the progression of the disease. We take a comprehensive look at her symptoms, health history, and BBT charts in order to assess the likelihood of endometriosis and make sure we get the best diagnosis for her individual case, in order to get the best results. Once a diagnosis is made, we may employ a combination of therapies including acupuncture, Chinese herbs, dietary therapy, and supplements as needed, along with techniques you can use at home. “the current literature suggests acupuncture reduces pain and CA-125 levels, regardless of the control intervention used”. Public Library of Science (PLoS One)(2017), Effects of acupuncture for the treatment of endometriosis-related pain: A systematic review and meta-analysis. (Link to research here). Endometriosis can be a debilitating and confusing condition. It is so common, yet so underdiagnosed. Many women are not given many options to control their condition (apart from pain medications), and are not sure how best to improve their endometriosis naturally. At Acupuncture with Grace, we understand that womens’ bodies are complex, but sometimes the simplest changes can make a big difference to her quality of life. If you’re looking for any further information on how Acupuncture and Chinese Medicine may help, please get in touch with us today. The Treatment of Infertility with Chinese Medicine by Jane Lyttleton (2004). Plus the research papers listed above.